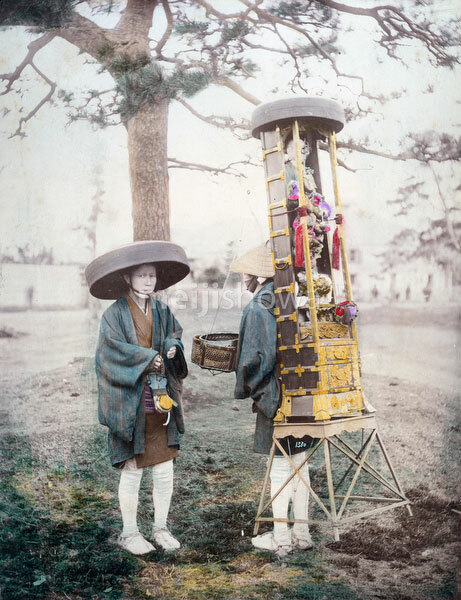 Two buddhist pilgrims, one carrying a portable Buddhist shrine, ca. 1880s. Tentatively attributed to Shuzaburo Usui because it was found in an album full of photographs by this photographer.